Wheat germ is the nutrient-rich embryo of the wheat kernel that is removed during the processing of whole-wheat grains to white flour and only makes up about two to three percent of the entire wheat kernel. Although not technically a food, wheat germ is considered one of the top 10 healthiest foods to include in a balanced diet because it is such a good source of so many essential vitamins and minerals and healthy fats. Wheat germ is a food source, and is part of the breads and cereals food group. Its high vitamin and mineral content make it an extremely nutritious food. Wheat germ contains phytosterols, which have been shown to lower cholesterol and promote heart health. In addition, wheat germ contains high amounts of vitamin E, an antioxidant that helps protect the body from damaging free radicals. Wheat germ is also a good source of omega-3 fatty acids. Omega-3 fatty acids promote heart health by lowering cholesterol and blood pressure, are important for nervous system functioning, and help elevate mood. Wheat germ is also a good source of fiber which has many benefits including improved bowel function and may reduce the risk of developing heart disease and diabetes and prevent weight gain. 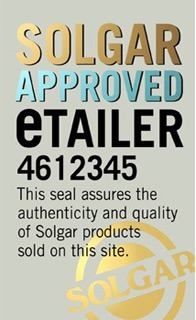 Solgar supplies several different Wheat germ supplement products such as Solgar Wheat Germ Oil Softgels 100 Capsules.